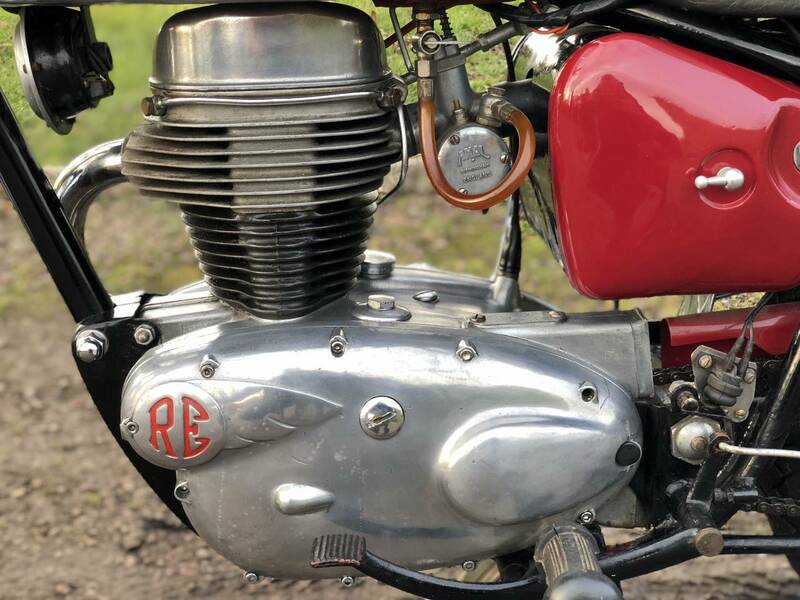 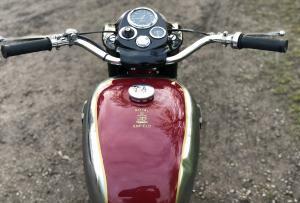 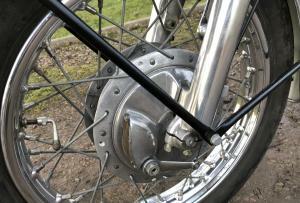 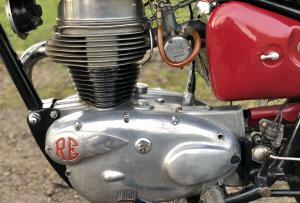 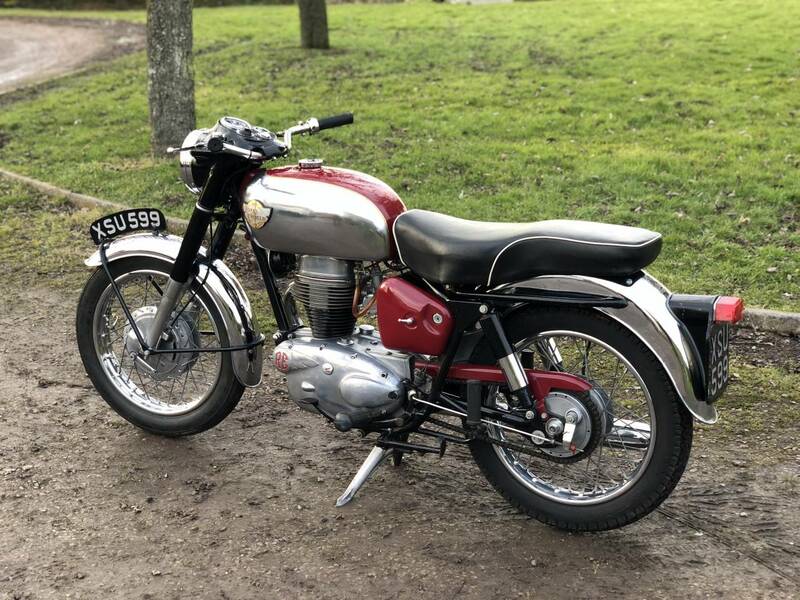 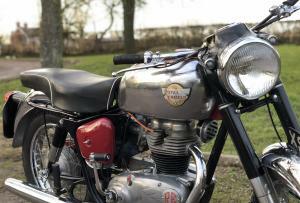 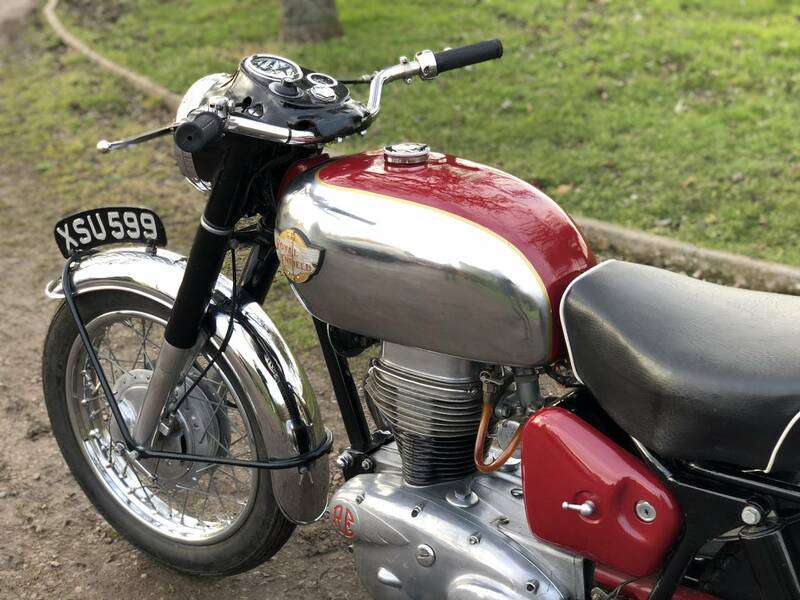 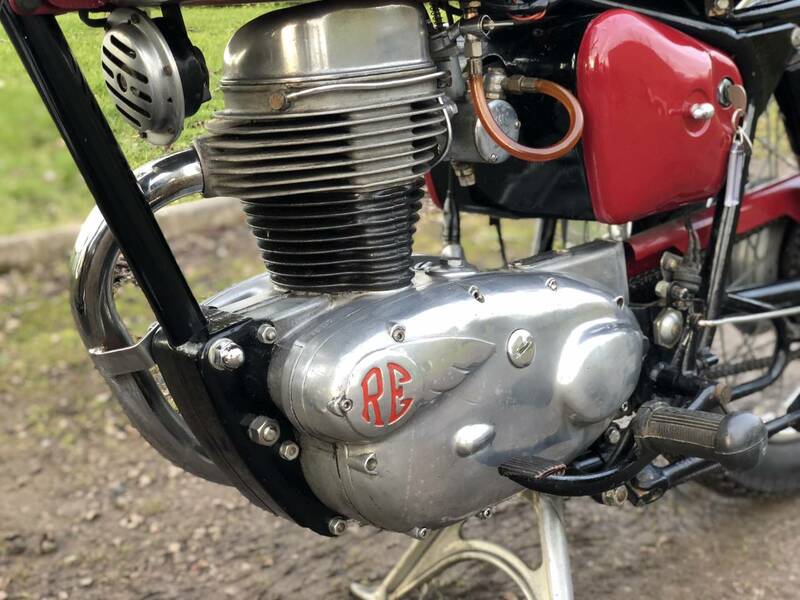 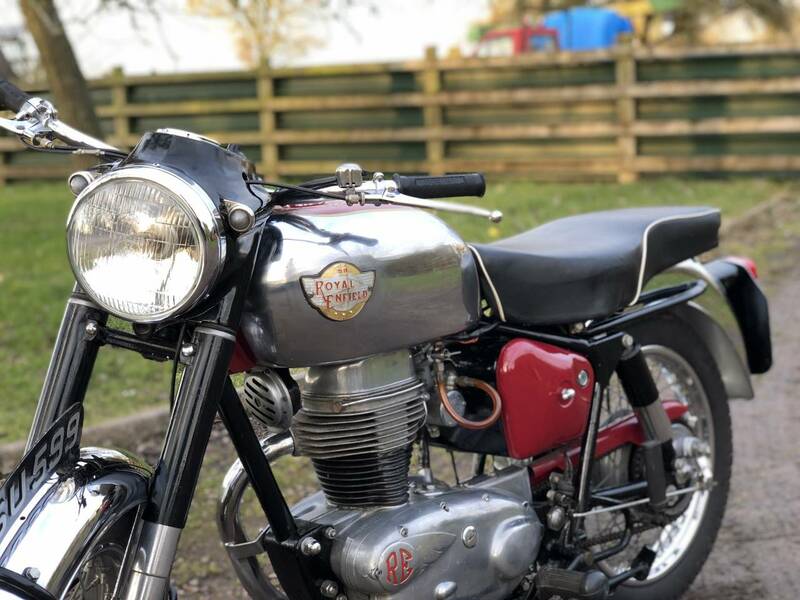 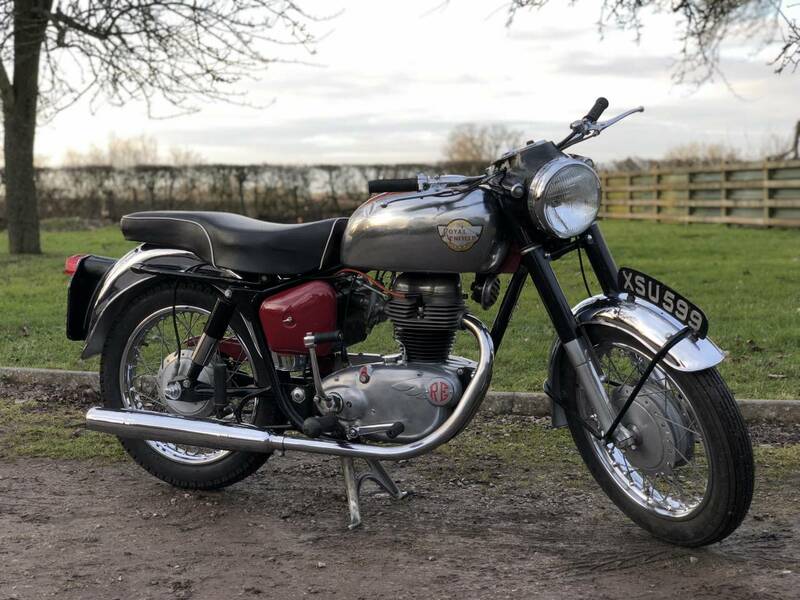 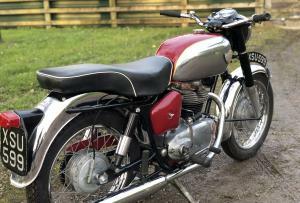 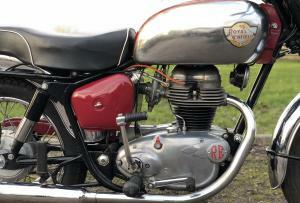 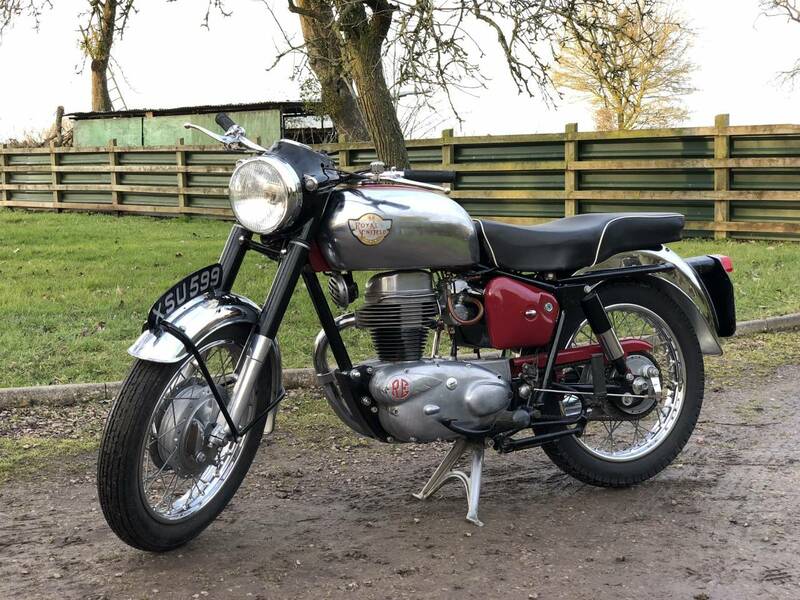 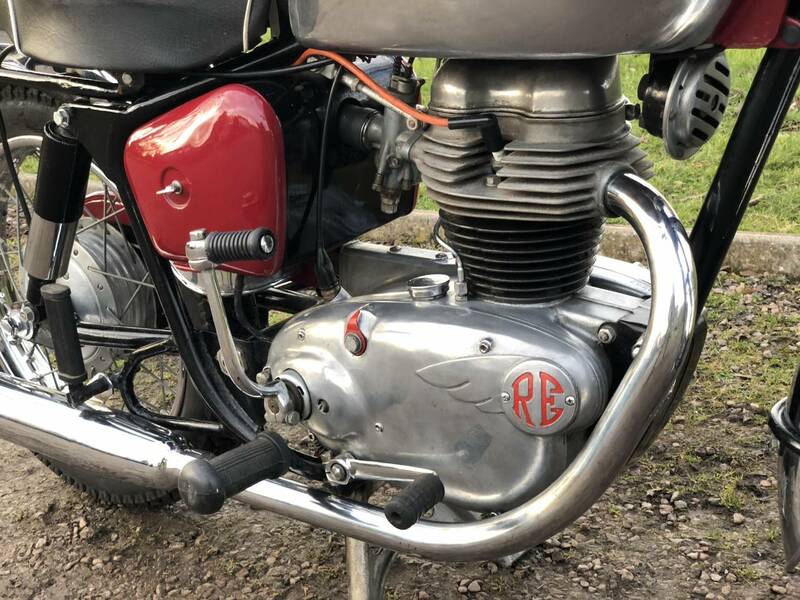 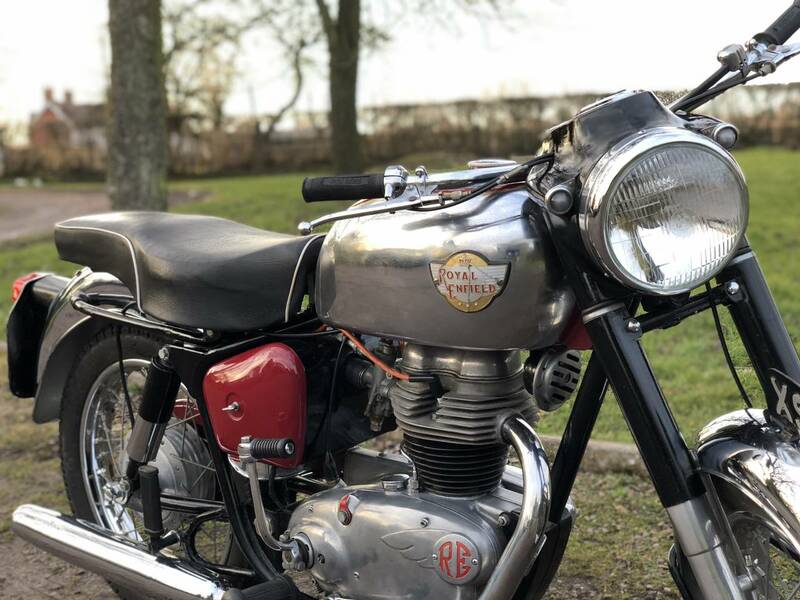 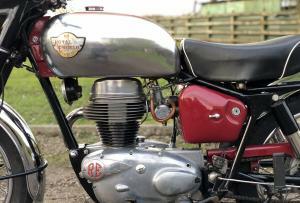 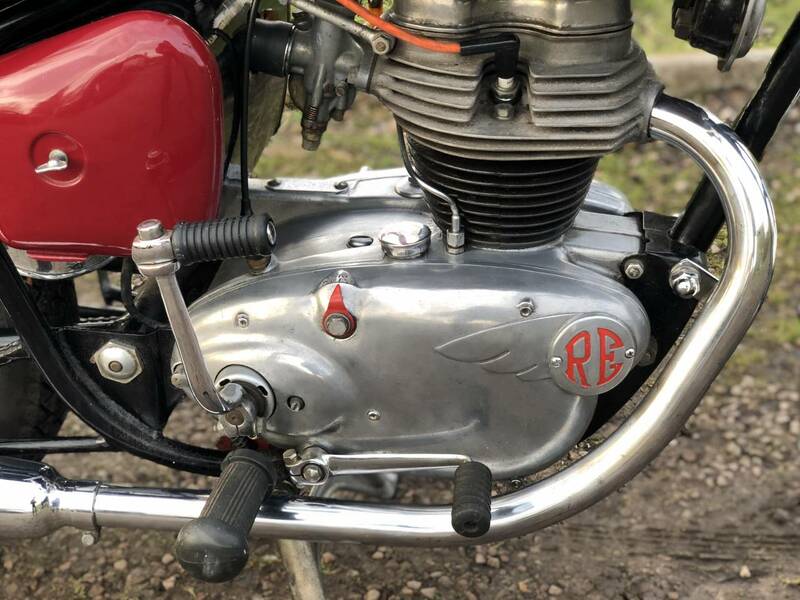 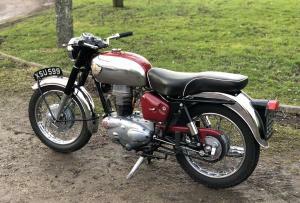 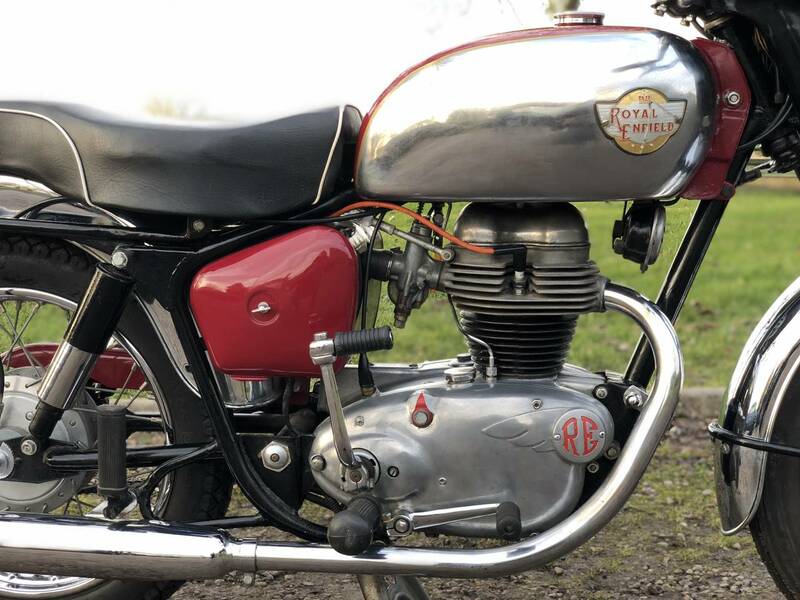 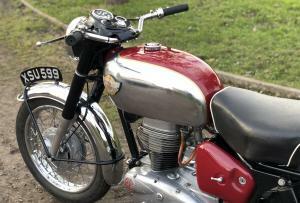 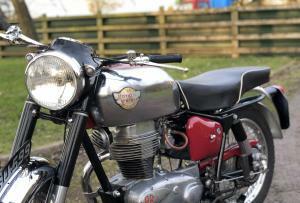 Royal Enfield Crusader 1961 250cc. 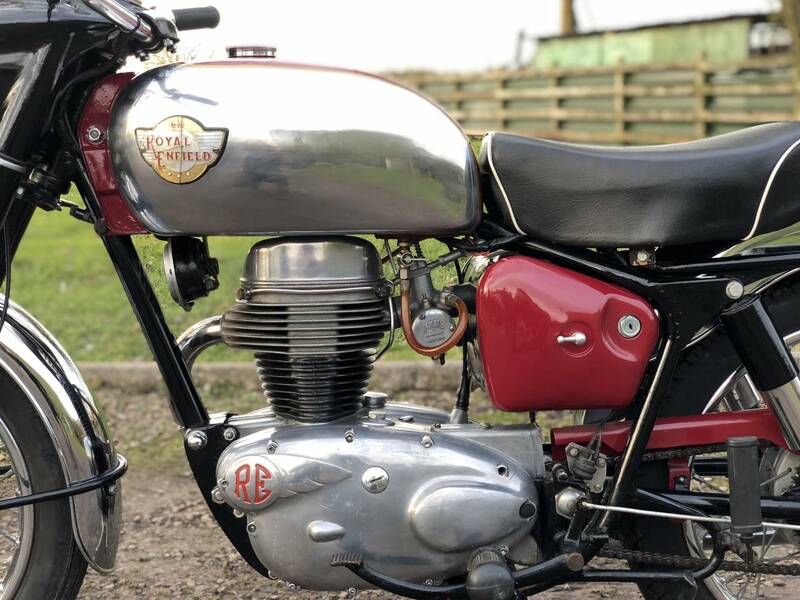 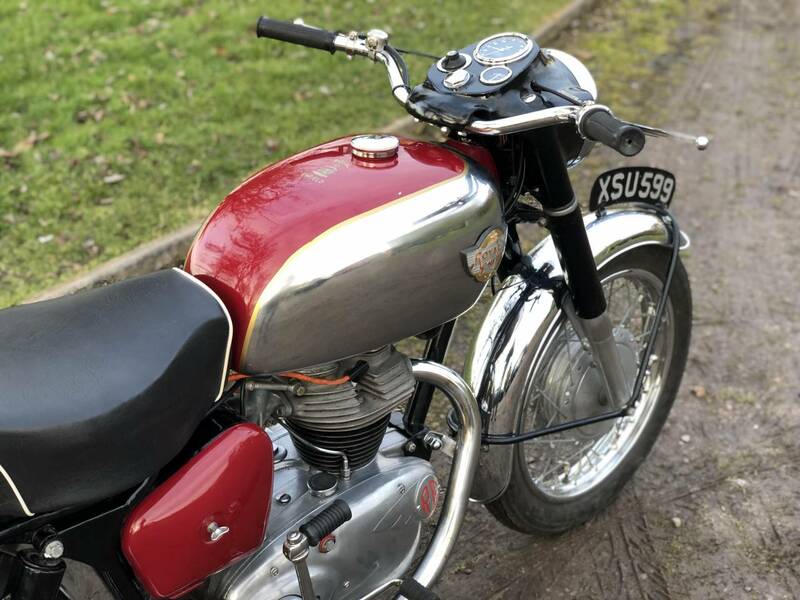 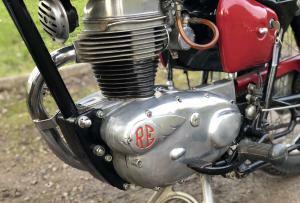 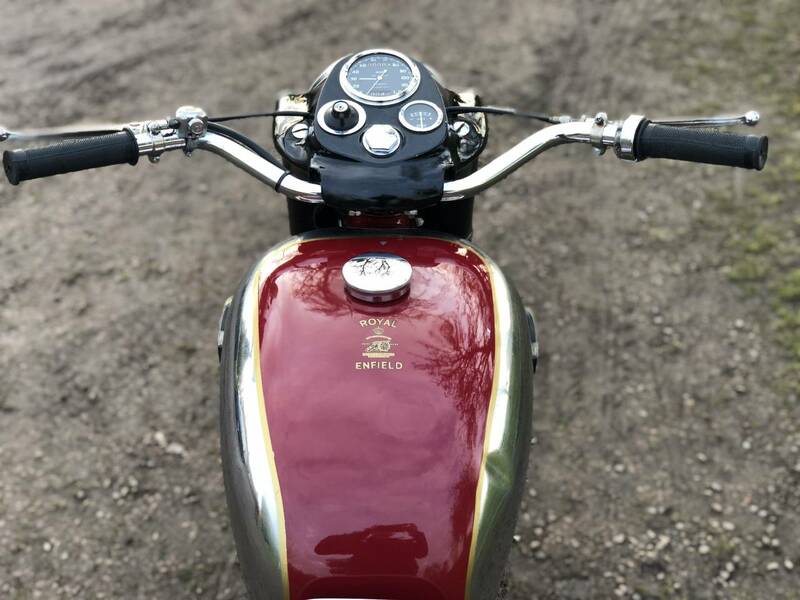 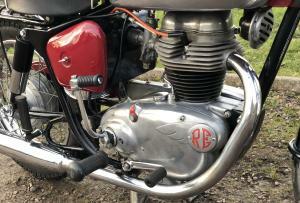 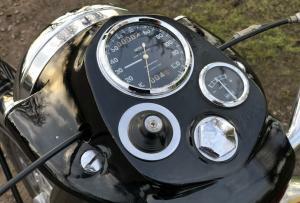 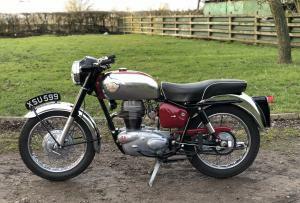 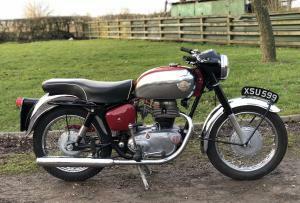 This Is A Lovely Example ; Only Let Down By The Old Chrome On The Tank , Which Also Has A Crease At The Top! 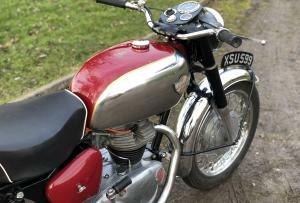 If we Had Time , We Would Re-Chrome And Paint It , But Are Far Too Busy! 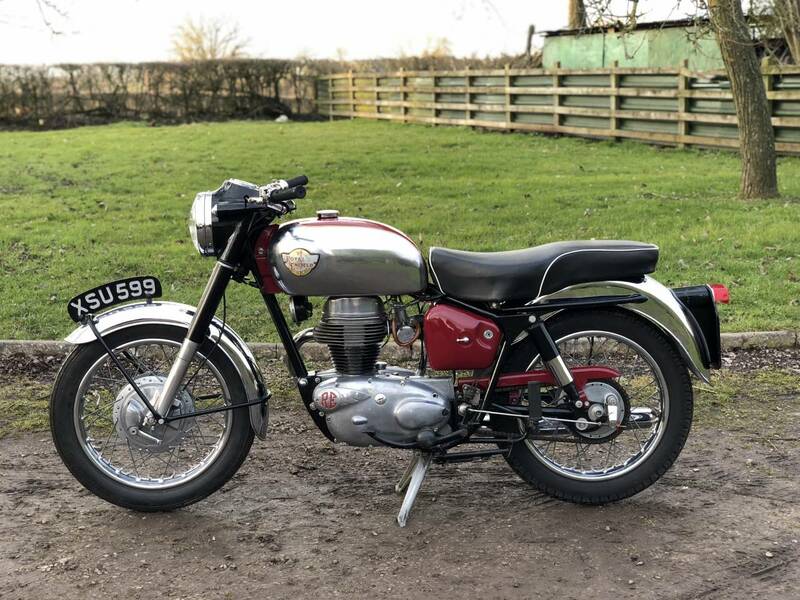 We Have A Friend , Who Has Good Contacts , Which We Can Pass Onto You , To Do This , Cost £350 All-In ( Very Cheap And A First Class Job ! ) 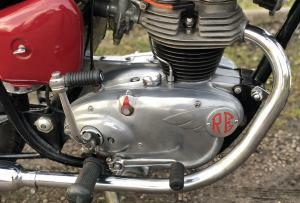 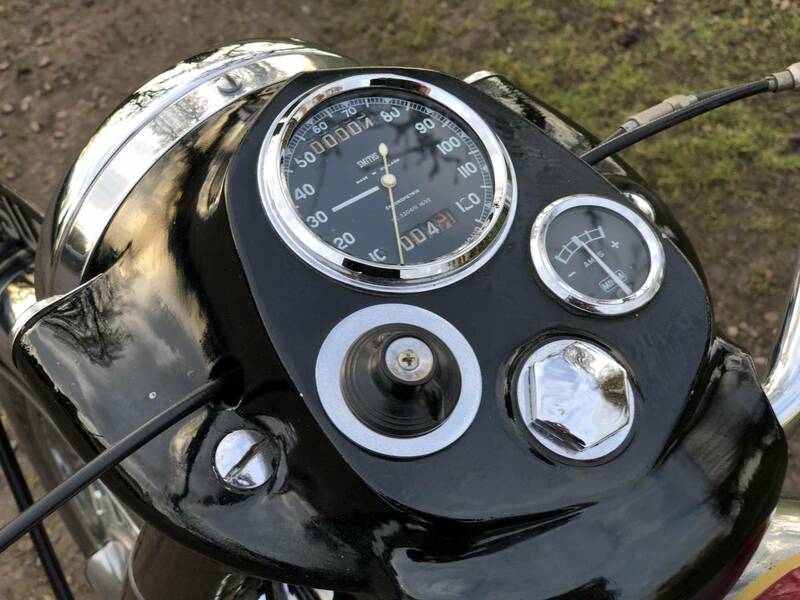 It's Only Covered 4 Miles Since Restoration And The Carb Needs Cleaning , As Running Unevenly ( See Video ) Apart From The Unrestored Tank , It Looks Very Smart . 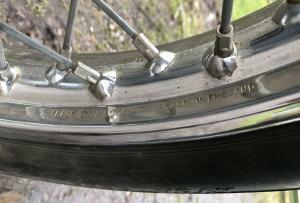 The Rims Are Very Good , As Are Dunlops With Thick , Original Chrome ( Unlike The Thin Stuff They Use Today ! ) 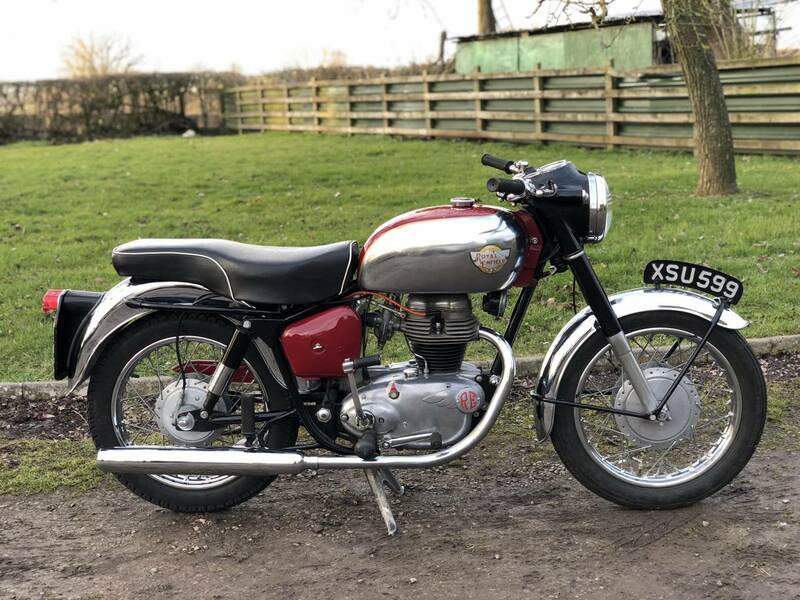 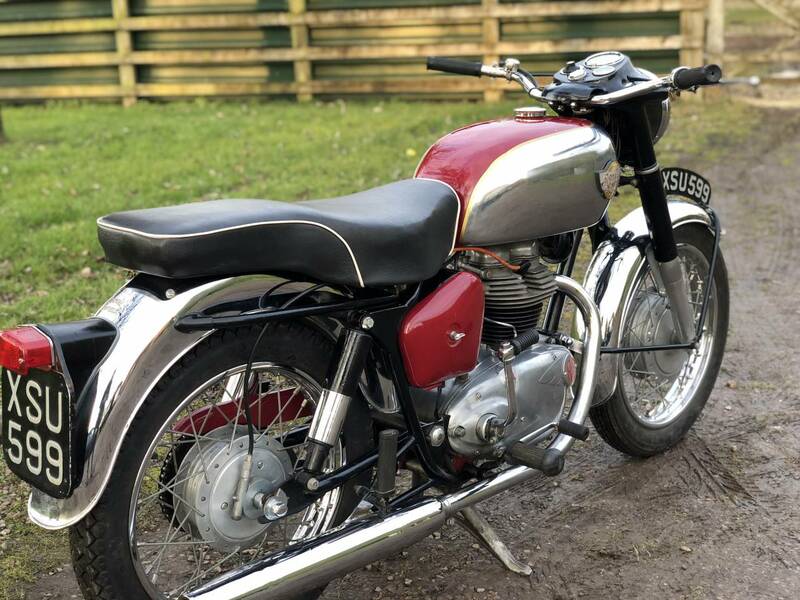 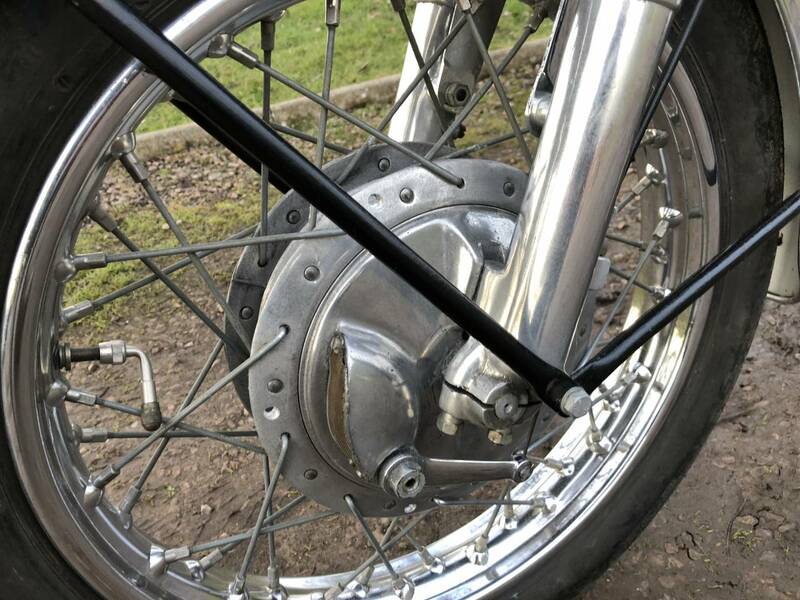 It Looks To Be Very Original And Comes With A Fresh MOT ; Centre And Side Stands ; Original Workshop Manual And Original Instruction Book. 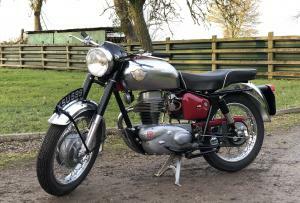 A Lovely Classic Lightweight ; Capable of 85 Mph! 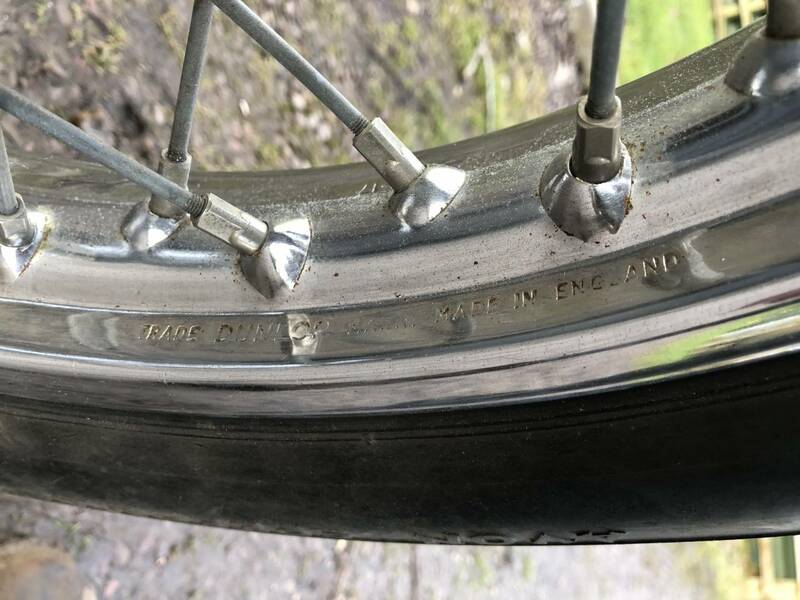 As So Original and Smart , It's A Good Investment !